In our everyday lives, we use software that makes our day-to-day easier and more productive. We have easy-to-use tools for everything from booking flights to controlling central heating when we’re not home. In the healthcare field, we rely on technology to easily book appointments, securely store patient information and efficiently create reports. But there seem to be some misconceptions around exactly how easy, secure, and efficient practice management software is. 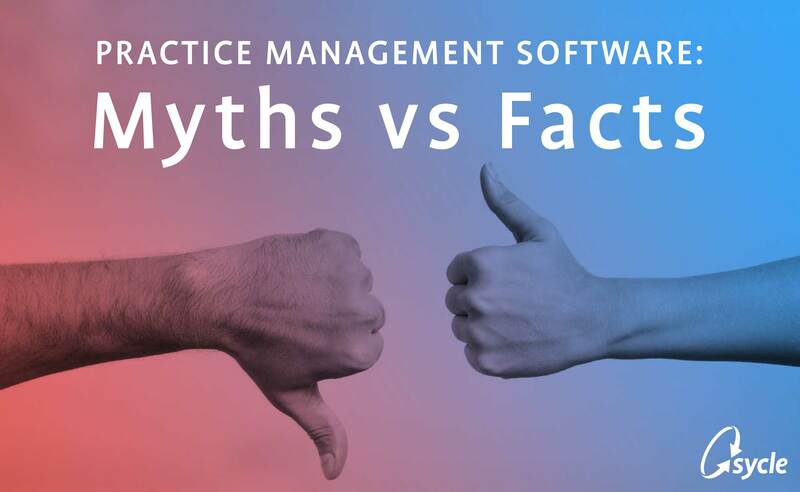 It’s time to face the facts and toss out those practice management software myths. Myth #1: Storing documents in the cloud is not secure, less reliable, and expensive. BUSTED: Let’s start with security: HIPAA compliance and patient data is nothing to take lightly; security and data retrieval are vital elements to your practice. Is your patient data encrypted at rest AND 100% HIPAA compliant? If not, it should be. Now onto the price tag: Consider how much money goes into filing cabinets and paper files. That’s where eDocs paperless office software comes in, plus it’s fully integrated with Sycle PRO. HIPAA compliance: Rest easy knowing your data is protected with triple redundancy and offsite backup through Sycle PRO’s HIPAA compliant cloud computing system. Did we mention your patient data is encrypted at rest? Data breaches aren’t really our scene. Serious cost savings: The cost of space, file cabinets, paper, and the labor that goes into filing and searching is not cheap. Did you know 1 ounce of the cheapest printer ink cartridge costs more than 2x the most expensive champagne? Yikes. eDocs removes these costs. Permission-based roles: Control employee access to patient files. Myth #2: Employees will resist moving away from paper systems. BUSTED: Change is hard, we’re with you there. And the truth is, moving from a paper system to a new practice management software can take time and may be an unwelcome disruption in the short term. Let’s look at this in the long run; software like Sycle PRO can be extremely beneficial for your organization. Increased efficiency: Systems like eDocs make business processes more structured and intuitive: eliminate time looking for misfiled folders, utilize your office space more efficiently without the square footage, and put the focus back on reaching your practice’s goals and helping patients. Improved flexibility: With integrated Physician Reporting, efax professional reports to your referring physicians without ever leaving Sycle PRO. To-Do Lists: Forget post-it notes: track, organize, and assign office tasks to others in seconds within Sycle PRO. Myth #3: Practice management software is hard to understand. BUSTED: To that, we say “Au contraire!” Nowadays, many practice management software is developed to be both simple AND functional. In fact, Sycle PRO is not only easy to use and enjoyable, but it’s designed specifically with you in mind. Smoother workflows: Reduce the number of clicks required to complete everyday tasks by 40%. Save time and breeze through your workflows. Compass automated training and user guidance: Optimize for success and navigate through any workflow and every task with friendly click-by-click user tutorials. Sycle Customer Experience & Sycle Training Team: Our Sycle customer experience team is available 24/7, for any questions or concerns, and our Sycle training team is here to give you the low down on all the Sycle PRO essentials. An easy-to-use practice management software can make all the difference when it comes to a productive and enjoyable day. Sycle PRO does just that. 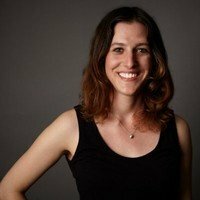 Ready to get started on Sycle or have questions? Give us a call at 888.881.7925 or request a FREE demo today.